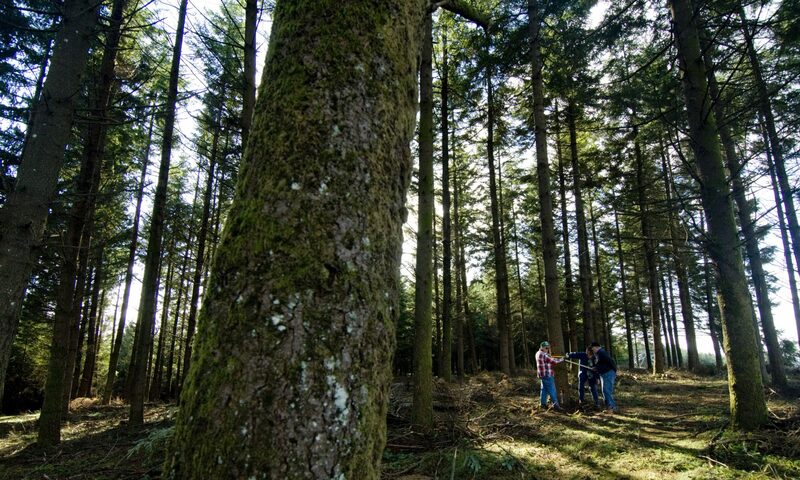 Most forest management plans start out with some background information about the landowner and the property, to set the context for the rest of the plan. For example: Location, size, ownership, history and other details. Many woodland owners enjoy learning about their property history and value having a written record of it. If you are a relatively new property owner, you could ask your neighbors what they know. Your plan will contain several maps and aerial photos to provide a visual overview of the lay of the land. These maps will identify distinct forest stands and other features such as topography, streams, roads and structures. Many digital mapping tools exist although some landowners use hand-drawn maps or overlays to illustrate these details. Management plans contain descriptions of all the resources found on a forest property. The resources you have on your property may include vegetation (timber), water, fish and wildlife, roads, soils, recreation, aesthetics, and wildfire protection. Management plans contain a set of suggested actions that the landowner can implement to improve the resources on his/her property and move in the direction of his/her goals. These recommended actions may be on-the-ground practices, or they may include things such as consultation with professionals or education. The plan now sets the landowner on a management trajectory for a period of five to ten years. Developing a management plan is a good time to examine your ownership structure, tax status, and other fiscal matters. You’ll also consider legal and liability issues such as boundaries, easements, and security concerns. Many landowners also use their management plans as a way to keep track of expenditures and income associated with their management activities.